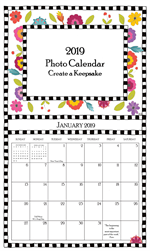 2019 PHOTO CALENDAR Buy 4 get a 5th one free. Packaged in crystal clear resealable fine art bags. 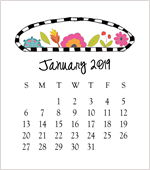 2019 DESK CALENDAR (JEWEL CASE) refill does not come with the stand. 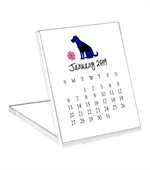 If you have last year's acrylic stand this will fit. 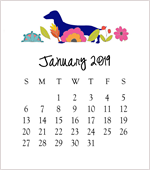 Get a calendar free when you buy 12 - 2019 WEENIE DOG DESK CALENDAR for Dachshund lovers everywhere and for dog lovers everywhere. Fits in a CD-like clear acrylic case that when opened serves as the stand. Measures about 6 x 5.5. Save 14.95. 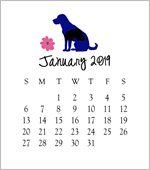 Get a calendar free when you buy 12 - 2019 LAB GOOD DOG DESK CALENDAR for Lab lovers everywhere and for dog lovers everywhere. 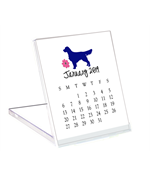 Fits in a CD-like clear acrylic case that when opened serves as the stand. Measures about 6 x 5.5. Save 14.95. 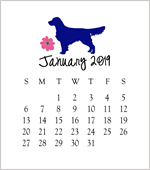 Get a calendar free when you buy 12 - 2019 Retriever GOOD DOG DESK CALENDAR for dog lovers everywhere and for dog lovers everywhere. Fits in a CD-like clear acrylic case that when opened serves as the stand. Measures about 6 x 5.5. Save 14.95.